RCB vs SRH Live Streaming IPL Live Score; T20 Match Scorecard – Watch Online On Hotstar: One of the most awaited matches of IPL 2016 series is going to be played between RCB and Sunrisers Hyderabad. On the one hand, an experienced team is here led by Virat Kohli himself and on the other side, DA Warner is going to chase them with his Opening innings. 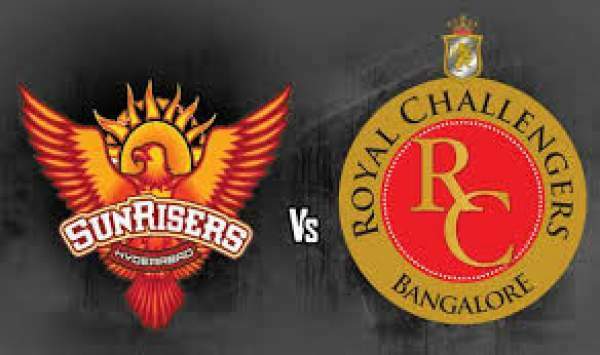 There are high chances of winning of Royal Challengers Banglore in this match, although its IPL and well known for the miracles. The match 1-3 was yet enjoyable for the audience, but no significant change had been seen, if Sunrisers Hyderabad will make their way through this match, they could set IPL Season 9 on fire. RCB have concluded the league season in the top four teams in four of the eight seasons so far; the team is itself a big headache for many professional players when it comes to fielding. The newly-acquired Shane Watson, skipper Virat Kohli with Chris Gayle are going to be very tough on Sunrisers. From Sunrisers Hyderabad team, the players who play an important role in this tournament includes Yuvraj Singh and captain David Warner. The bowling front could be handled by two left-arm quicks – Ashish Nehra and Mustafizur Rahman. The match is in favour of RCB when we see squads and innings. SRH v RCB live stream IPL T20 will start at 8 pm IST/3:30 pm GMT. Star Sports 1 and Star Sports 3 will telecast the IPL T20 match in India with an option to live stream it on starsports.com and hotstar. For the people of the UK, Sky Sports 3 and Sky Sports 3 HD will broadcast it on TV while; it can be streamed live on Watch Sky Sports.